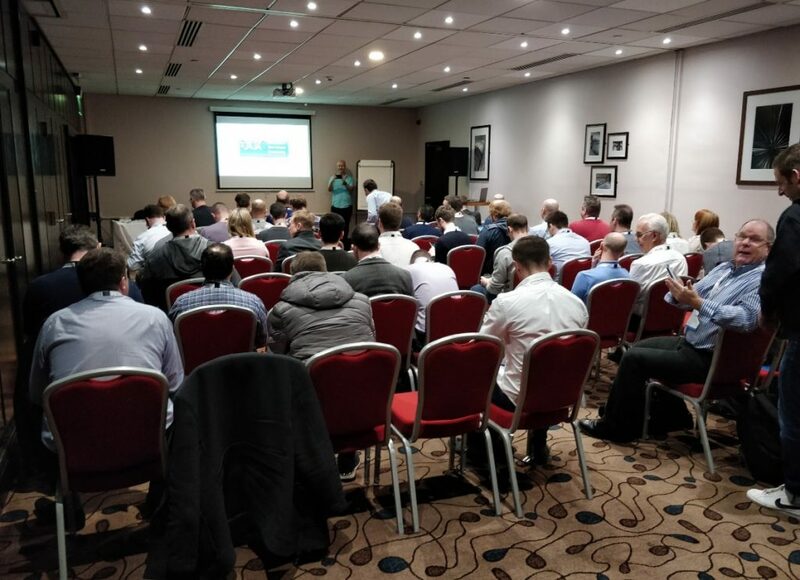 The 28th XL edition of the UK Citrix User Group (we only do XL over here in Blighty – none of this half day madness) took us to the north of England, to the lovely city of Manchester. 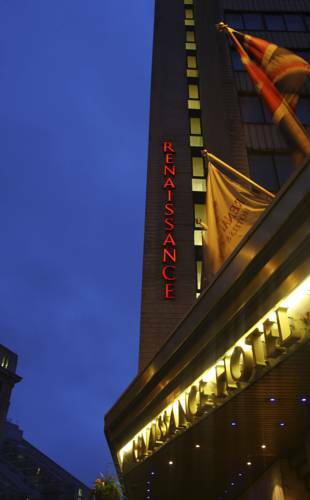 Once the London lot had gotten over their shock of finding civilization beyond the Watford Gap, we settled down into the surroundings of the Renaissance Hotel, where our attendees were mad for a day of interesting and lively presentations and debate. The last foray out of London into York had proved to be a perfect storm of travel disruption, severe inclement weather, and an absent Master of Ceremonies, so it was good to see that our Manchester event didn’t turn out to be similarly cursed. Although newly-minted CTA Jake Walsh threatened to force a rejigging of the schedule by his conspicuous absence not long before kick-off time, he turned up in true rockstar style at the last minute and allowed us to all continue as promised in the agenda. 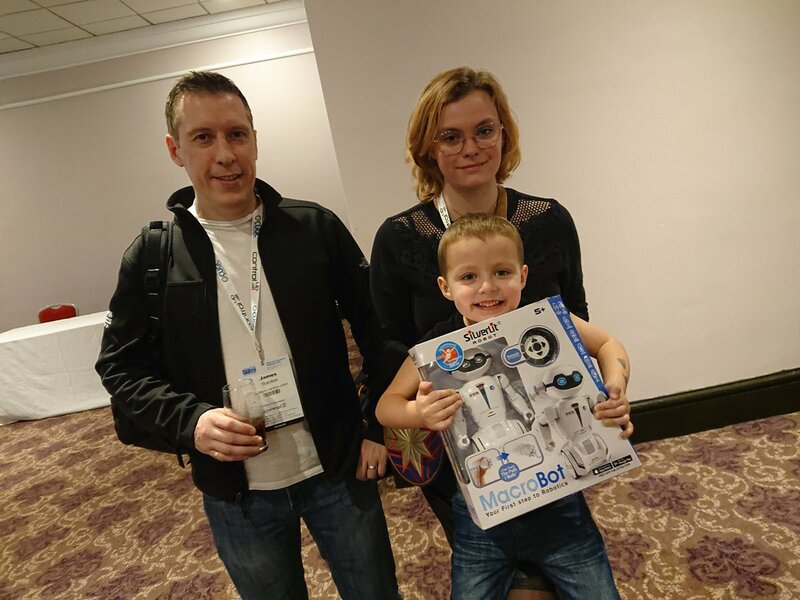 UK Citrix User Group events are always free to attend, but it’s only through the generosity of our lovely sponsors that we manage to keep it so – so we should always give them a mention here! Our new Diamond sponsors are the people over at ControlUp, FSLogix, LiquidWare and eG Innovations fill the Platinum spots, and Flexxible IT provide the Gold. Please feel free to visit these vendors and if you feel the urge partake of their wares – they’re the reason we can provide our insightful speakers, tasty lunches, free sessions and of course post-event beers. Where to start with the roundup? Well with Neil’s CUGC News section, naturally, once we’d established he was actually fit enough to present, contrary to pre-event rumours of plague. Neil did a wonderful job of managing to concentrate on positive things, despite the overarching interest being in a) Citrix’s much-publicized hacking incident, and b) Microsoft parking their Windows Virtual Desktop tanks on Citrix’s lawn. Also worth a mention is a community initiative from Kev Howell and Leee Jeffries to provide access to Citrix Cloud – worth signing up for. The details are included in the news slides – available here. After that we had one of our three new UK-based Citrix Technology Advocate awardees, Jake Walsh, kicking off a very-much-network themed day with his Citrix ADC – nothing to GSLB afraid of presentation, which overcame his disastrously cheesy choice of pun to actually become an interesting guide on the theory and setup of GSLB in Citrix environments. If you’re after Jake’s slides, then download them here. Following Jake we had a very unique session indeed, where we welcomed the world’s youngest CCA Charlotte Beijer to deliver her maiden presentation in front of her peers. She was due to be at the Dutch User Group, but wasn’t sure whether she’d have to go to school or not (a problem I haven’t had for nigh on thirty years), and eventually managed to simply do a Q&A session there, allowing the UK user group to have the exclusivity of her first session delivery. Charlotte’s session was very much a change from the usual fare as it was much more a personal and emotional story than strictly technical, and for a 17-year old to deliver this in front of a crowd of cynical old techies in a non-native language was doubly impressive. Hats off to Charlotte. Charlotte’s slides are available for download here, and if you want to watch her YouTube video of the session (cos that’s what all teenagers do, innit), the link is embedded below. 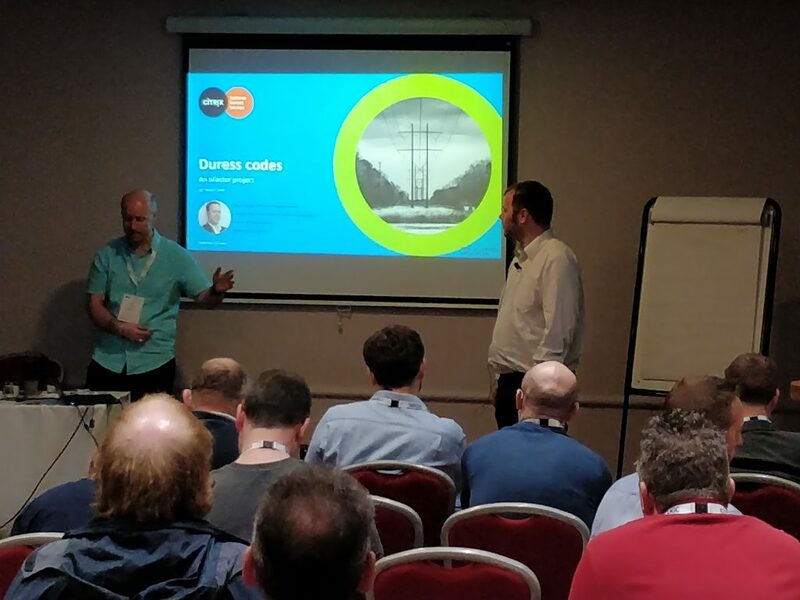 After the sponsor session we had another very interesting and potentially life-saving session, as Steven Wright from Citrix talked about the little known ADC feature of duress codes. This certainly piqued my interest, as the capability to avoid having your brains blown out while being forced to transfer millions of pounds to criminals is a much more flashy use for Citrix ADC than we would usually associate it with. If you don’t want your kneecaps smashing, you can download Steven’s slides from this link. 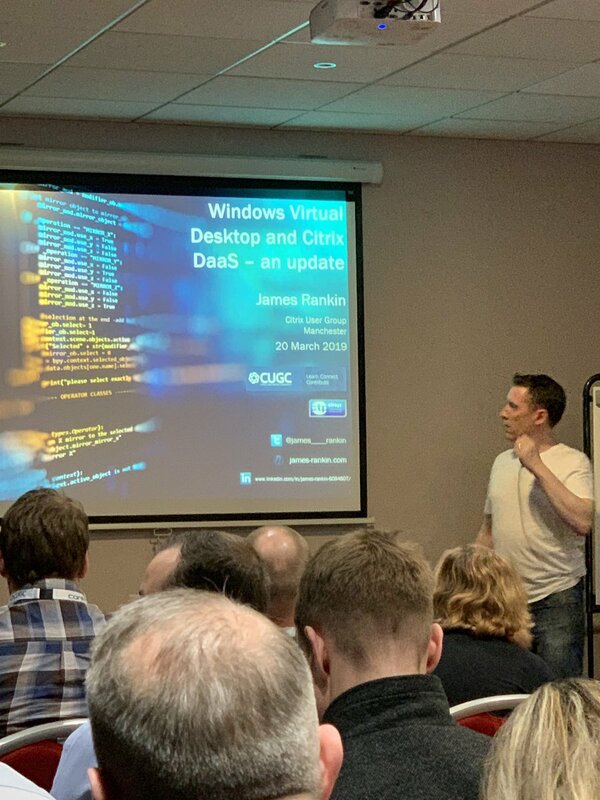 The pre-lunch session was occupied by my good self, and it was a chance for the three people in the audience who’d also attended the December event in London to catch up on some sleep as I was doing a slightly-updated version of the same presentation on Windows Virtual Desktop. Naturally, for the rest who hadn’t seen it before, all the talk here revolved around Office ProPlus, RDSH on Windows 10, and just what the hell Citrix are going to do now that the Microsoft beast is potentially eyeing up Citrix Cloud and licking its slavering lips. If you so desire, you can download my deck from this link. 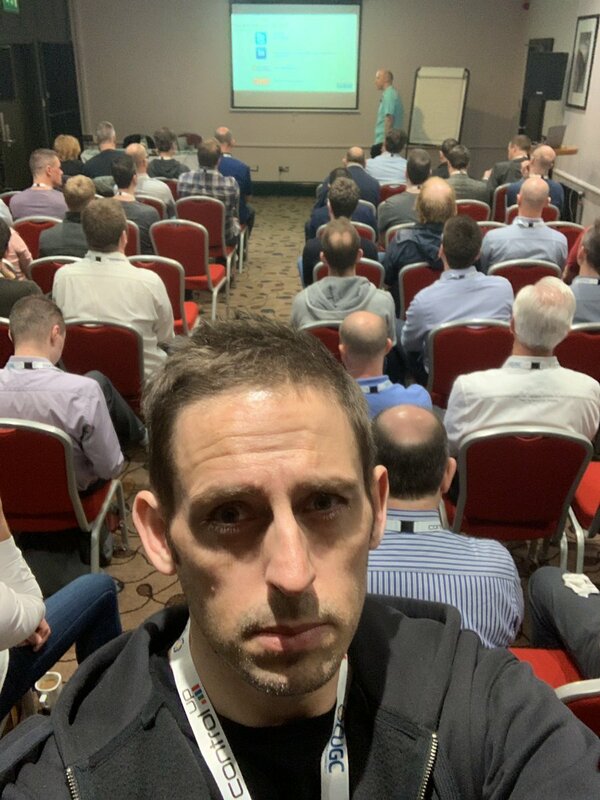 Next up was Guy Leech, another freshly badged CTA who appears to be after my record for consecutive user group presentations. Having talked about dumps in London, Guy’s next subject was logs. 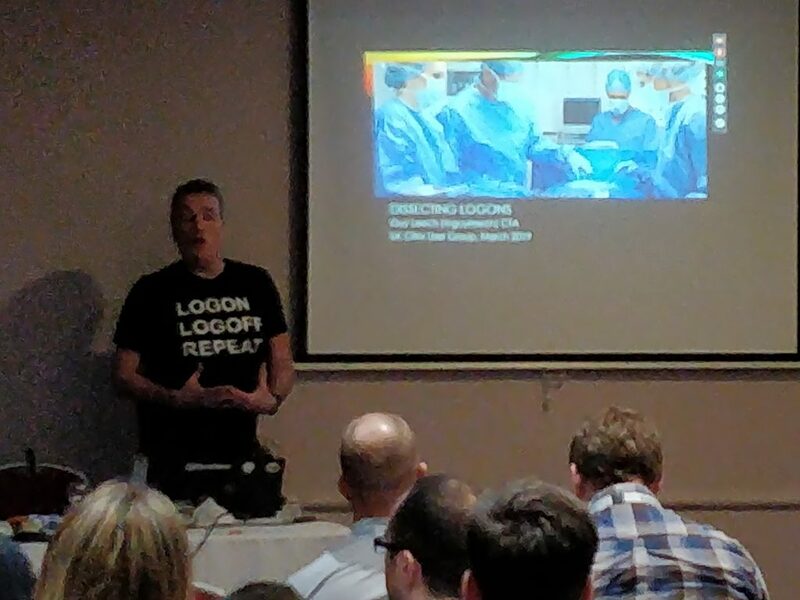 Well not really, poor attempt at a scatological joke, it was really about dissecting logons. He even wore an appropriate t-shirt, which luckily you can actually see on the disgracefully poor-quality photo I managed to capture of him. If you want to dissect Guy’s slides, download them from this link. Had we had enough ADC at this point? Of course we hadn’t, there’s always room for more. 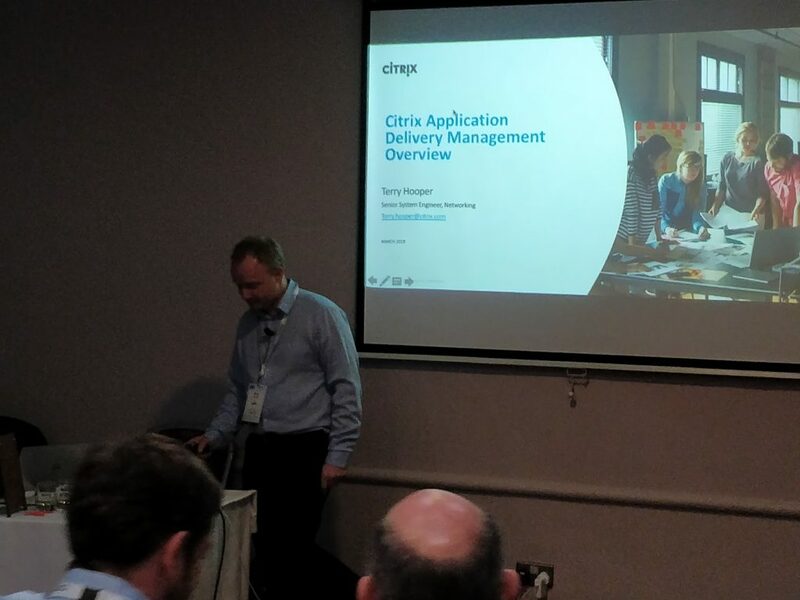 Terry Hooper of Citrix publicly gave up his CUGC presentation virginity by talking about everything around Citrix Application Delivery Management (ADM), formerly NetScaler MAS. Never let it be said that networking doesn’t get enough attention at the UK CUG. If you so wish, Terry’s slides are available for download here. Round table time next, naturally minus the table and anything remotely round. Cue some lively discussion about all things Citrix, and if I remember correctly, a new record in that nobody complained about licensing. 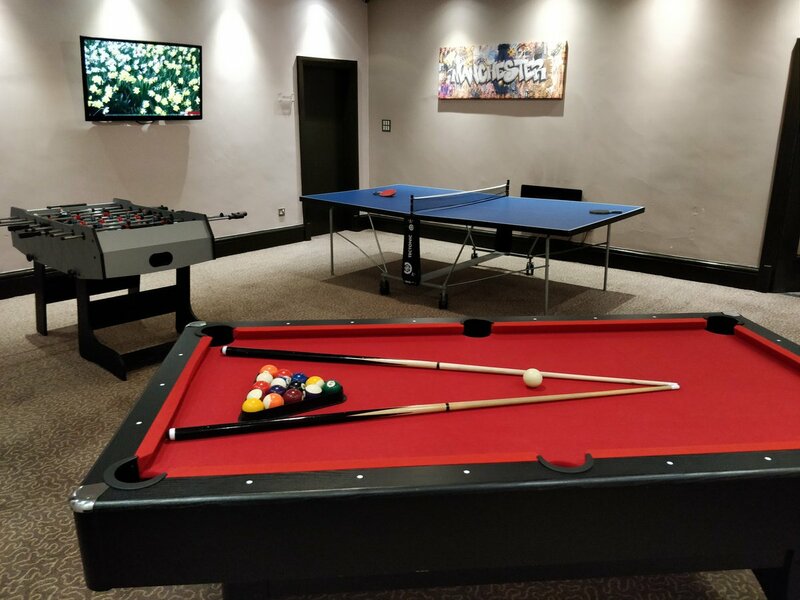 Really what we should have done was take advantage of the facilities available in the room next door (see image below), but the chance for me to defend my E2EVC table tennis title never arrived. How disappointing. All in all, a successful trip to Manchester. Next up for UKCUG is a June 6 trip to London, for which details will be available in due course. 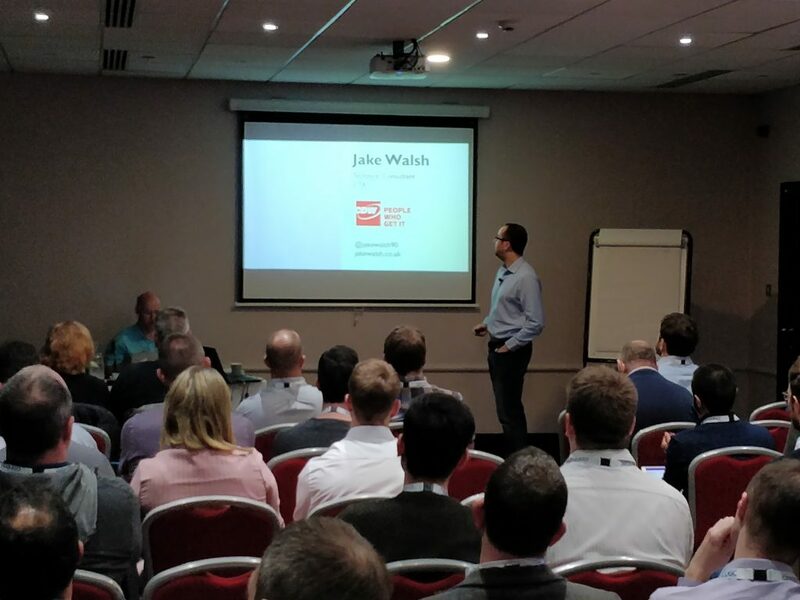 Unfortunately I will lose my consecutive presentations record there, as I will be in the middle of a 1600-mile drive to Sweden, but there will be plenty of engaging and thought-provoking sessions from the community to see – make sure you don’t miss out.